Meizitang Strong Version Botanical Slimming soft gel capsules pose a serious risk to your health and should not be taken. they contain the undeclared substance diclofenac a non-steroidal anti-inflammatory medicine - despite the product label claims 100% Natural soft gel. they also contain the undeclared substance dipyrone which was previously used as an analgesic, but is no longer available in Australia due to serious safety concerns associated with links to a rare but sometimes fatal condition called agranulocytosis. The supply of Meizitang Strong Version Botanical Slimming soft gel capsules is illegal. 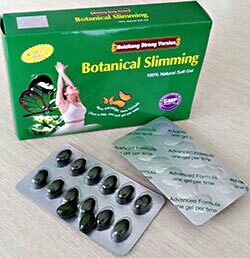 Meizitang Strong Version Botanical Slimming soft gel capsules have not been assessed by the TGA for quality, safety or efficacy as required under Australian legislation, and the place of manufacture is not approved by the TGA. TGA investigations have shown that people in Australia may have bought the product online. Stop taking Meizitang Strong Version Botanical Slimming soft gel capsules and take any remaining soft gels to your local pharmacy for safe disposal. The ACCC has provided additional information, Watch out for weight loss scams, about the risks of scams promoting weight loss. The TGA is working with Australian Customs and Border Protection Services (Customs) to help stop future shipments of Meizitang Strong Version Botanical Slimming soft gels from entering Australia. If these soft gels are found at the border by Customs they will be seized and destroyed.